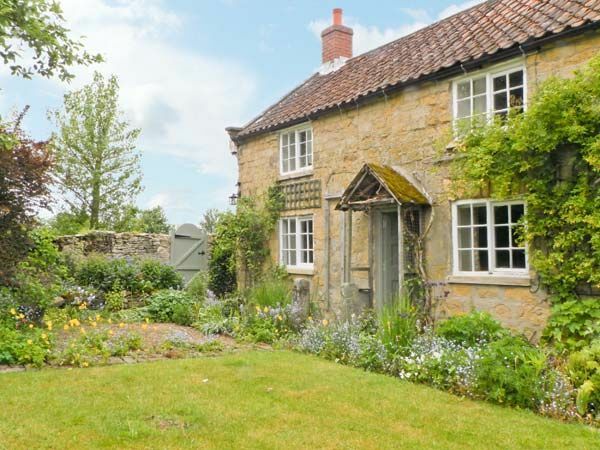 This stone built cottage is located in the village of Cropton in the North Yorks Moors and can sleep four people in two bedrooms. Corner Cottage is a semi detached cottage in the village of Cropton in the North Yorks Moors National Park. The cottage sleeps four people and has one double bedroom with basin and WC, one twin room, a bathroom, a fitted kitchen, a dining room with woodburner and a sitting room with a woodburner. Outside the cottage is off road parking for two cars and an enclosed rear garden with outdoor furniture. Set next to the local pub in stunning countryside, Corner Cottage is a superb holiday cottage for a romantic break. Town: Cropton is a village in the North York Moors National Park which is surrounded by forest and moors. In the village is Cropton Brewery, where you can have a tour whilst the market towns of Pickering, Kirkbymoorside and Helmsley are close by. Two bedrooms: 1 x double with en-suite hand basin and WC, 1 x twin. Ground floor bathroom with roll-top bath and hand basin. Separate WC. Kitchen with breakfast area. Utility. Dining room with woodburning stove. Sitting room with woodburning stove. A very warm and welcoming cottage, set in a beautiful part of North Yorkshire with a friendly pub next door, we would stay here again.